Starting life in their university dorm, Young Ones is a dual sportswear and professional hockey gear brand that's set to be the Nike style double-threat of the future. Co-founder Chris Rea talks inspiration, expanding overseas, and turning down a cash offer from a Dragon's Den judge. University, it’s that place that’s meant to shape you as a person. For some, it’s about pursuing their academic passions. But for the majority, it’s where they grow up, and more often than not, screw up. (Insert jokes about binge drinking, wedgies and never once seeing the interior of a lecture hall). But not so for this particular co-founder, Chris Rea, who started a clothing brand, YoungOnes Apparel, with his friend and fellow hockey mate, Tom Carson, all from their dorm at Exeter University in 2012. So how did they go from partying students playing with fashion to gaining a big cash offer from a Dragon’s Den judge? Let’s find out. Taking stock of all the hard studying, and harder partying students around them, the pair decided that what their classmates needed was a onesie. “We kept the product really simple at first”, says Rea. “we just wanted to produce the one product in about three to four colours,” he adds. The product soon proved popular with perpetually hungover students, and the product took off at Exeter University. “From a manufacturing perspective the onesie is really easy to make,” says Rea. “In the early days, the students acted as the best marketers and advertisers we could have had,” says Rea. “Students are social. They share things and they move around a lot, attending parties and events, so before we knew it we had sporting societies, and eventually, sports teams getting in touch with us about our product,” he continues. With all these fresh-faced students practically eating up the product, coming up with a brand name was easy for Carson and Rea. 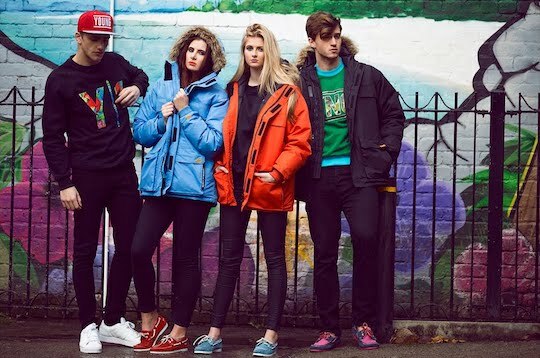 From here on in the brand was to be known as “Young Ones”, a name that perfectly epitomised those sunny few years of care-free living that students experience up-and-down the country. But the duo was soon to face even more exciting times when they found themselves on entrepreneurial contestant show, “Dragon’s Den” less than two years later.. In the end, multi-millionaire hotelier Duncan Bannatyne made the guys an offer of £75,000. Their response? They turned it down, but not on air. “It was a clear decision for us,” says Rea. “After the cameras stopped rolling, we realised how passionate we felt about continuing to control the creative direction of our company, and Bannatyne, considering his big cash offer, wasn’t going to allow for that,” he continues. “However, it was extremely flattering that he believed in our brand,” says Rea. “He said he admired the fact we were upscaling the quality leisure fashion brand space, that, once dominated by the likes of Jack Wills, no longer had anything interesting happening there,” he continues. YoungOnes Apparel has grown with the times. “We started getting orders straight off the back of our time on the show,” says Rea. – But this wasn’t the only reason why Young Ones began to sell to customers beyond their university. Both Carson and Rea were now pursuing professional hockey careers around the world, and this gave them the opportunity to network with other players and find out what they were missing. “We decided to change our brand name,” says Rea. “Why? Because we realised that we would be limiting our market value with the name Young Ones, so we decided to rebrand as Y1,” adds Rea. “With the major sports, the ones that get the most coverage in the media, they get the cool kit,” says Rea. But this just wasn’t the case in the professional hockey community says Rea, where a few turgid old brands occupated the space, – so Y1 set out to disrupt it. “Tom and I know the hockey industry, we get how the players are feeling,” says Rea. “They’re uninspired by the lifestyle brands in that space. So we thought with our combined knowledge and experience in the area, we could create products that would appeal to them,” he continues. “The day after appearing on the show we got a very angry call from someone who was claiming that we’d stolen the style of their logo from them,” says Rea. – What the two, in their commercial innocence, hadn’t realised, was that images could be subject to copyright too. “Luckily we managed to negotiate with them, and eventually settled out of court,” says Rea. This was when the pair thought it the right time to transition to the Y1 brand, and leave Young Ones behind. Another hurdle came when they were waiting for orders to come through from a recommended British supplier, “this was a factory that produced clothing for the big brands, including Topshop,” says Rea. “When we called them to ask them where our order was, they laughed and said we hadn’t put anything in writing, we learnt from that,” he says. Then things came to a standstill in the company, the duo were trying to run the business whilst each pursuing their professional hockey careers. “It wasn’t an ideal time,” says Rea. “We were trying to keep all the plates in our lives spinning,” he says. “As any entrepreneur knows, at some point, something’s got to give, you either take complete focus on the business, or you leave it,” he continues. But instead of going full-time entrepreneur, or giving up on the business, Rea pursued a middle ground. He took a job at crowdfunding platform Seedrs, and used it to build up his knowledge about how to gain investment. “I was there a couple of years and I learnt so much about how to scale up a business from other entrepreneurs,” says Rea. Like Knight, Rea wanted to make specific sports products fashionable in the mainstream. Whilst for Knight, it was making ‘track shoes’ popular, for Rea and Carson, it was the commercialisation of quality hockey wear, including hockey sticks. “This was the way I saw the Young Ones brand surviving and growing,” says Rea. “The role at Seedrs taught me a lot, including how effective crowd-backed equity investment was, and that’s the route we decided to go down at Young Ones,” says Rea. A number of these investors also perform periodic roles within the company, such as advising Rea and his partner about long term strategy. “This has been so helpful to us, especially when we are so busy with the daily operations of the business, it can be hard to make the time to look at the bigger picture,” says Rea. 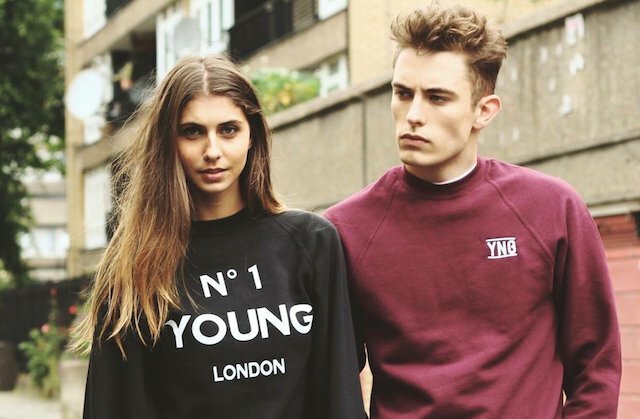 YoungOnes has made the transition from ‘university wear’ to holding a broader market appeal. Late 2018 was a good year for Rea and Carson, with in-store and online sales growing well, “sales of our products in European retail stores doubled this year, whilst our online sales quadrupled,” says Rea. But with so many e-commerce ‘on-trend’ retailers out there, how is YoungOnes standing out so well? “We knew we couldn’t compete with the cheap throwaway brands like Boohoo. However, we took inspiration from higher-end trend brands like Supreme and started dropping limited edition products weekly which has worked really well for us,” he continues. So, what’s the crystal ball of business success showing for YoungOnes in 2019 and beyond? “The goal is to onboard some high-profile hockey players to act as social media ambassadors for the brand,” says Rea. “Some of these hockey players, especially in South America are celebrities in their home countries, it’s not like here,” says Rea. “The idea is to have truly inspirational and positive figures repping our brand and inspiring others to get into sport,” he continues.